This is sublime! 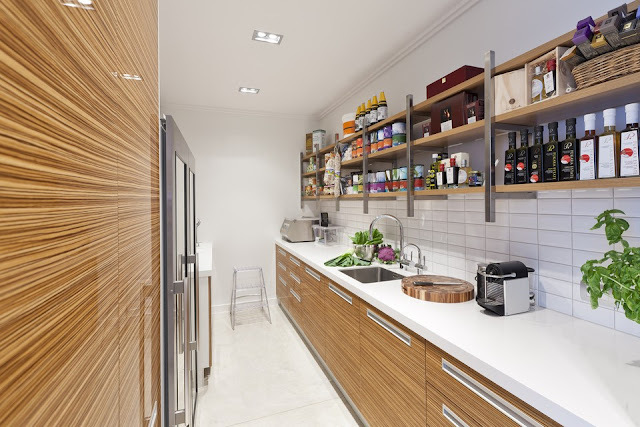 Large free hanging cabinetry is presented against a contrasting and textured backdrop. 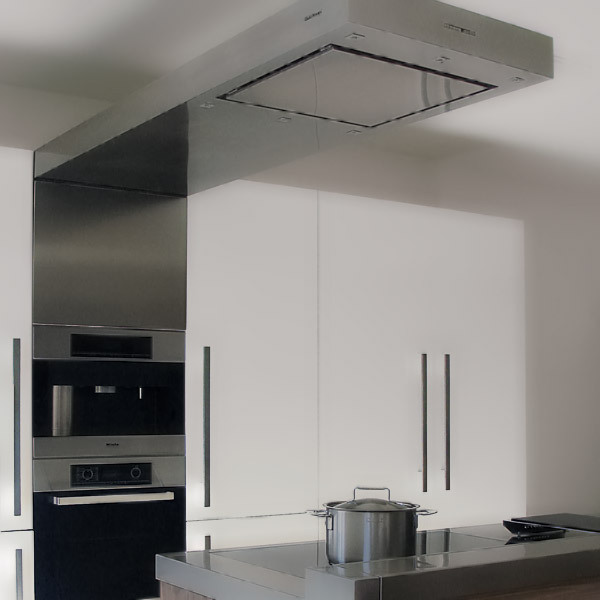 Having the ovens suspended from the central units makes it look as though the functionality has been centrifuged, forced from the cabinetry only to gather at an anthropometrically efficient height! 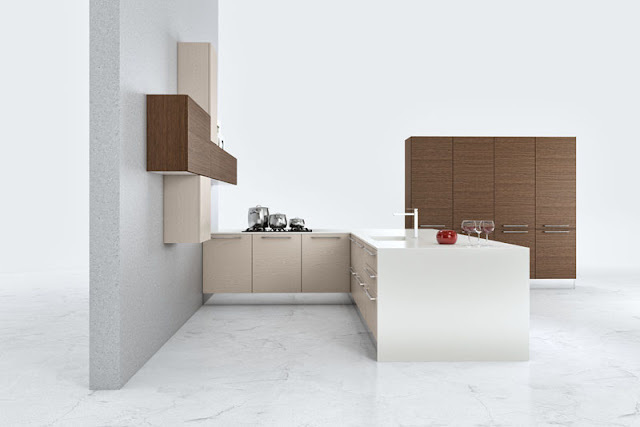 There is a sympathetic synergy between kitchen and architecture and the inclusion of low level cabinetry along the back wall dilutes to appearance of the kitchen. Add to this the fantastic open selves that embrace two sides of the island and this design certainly ticks a lot of boxes! This design is refined and balanced showcasing a considered amount of asymmetrical styling and including the now mandatory open shelf space to allow it to be considered commercially on trend! 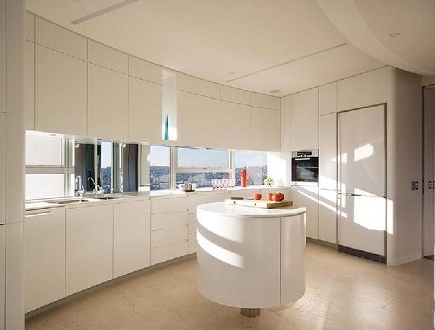 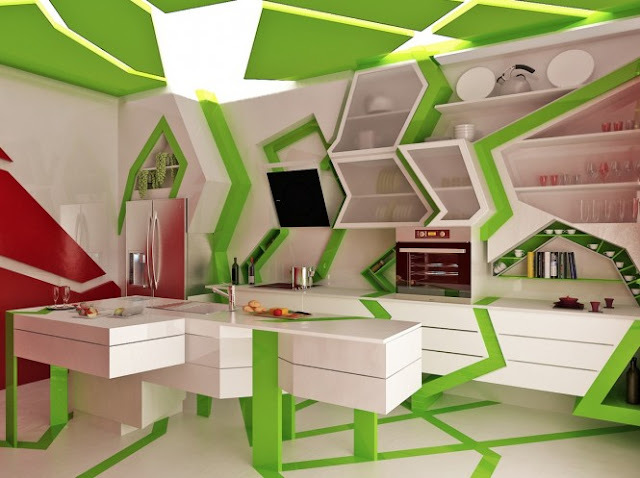 But no matter how beautiful or socially aspirational this kitchen appears to be it would still provoke some negative reactions every time the cook realised they had forgotten something from the consumables zone! 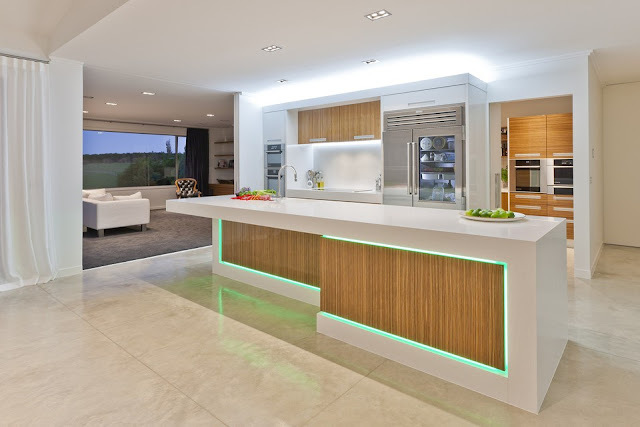 Sometimes it is important to remember that humans are not as efficient as they think they are; that is why creating a functional methodology for each and every kitchen design is essential. 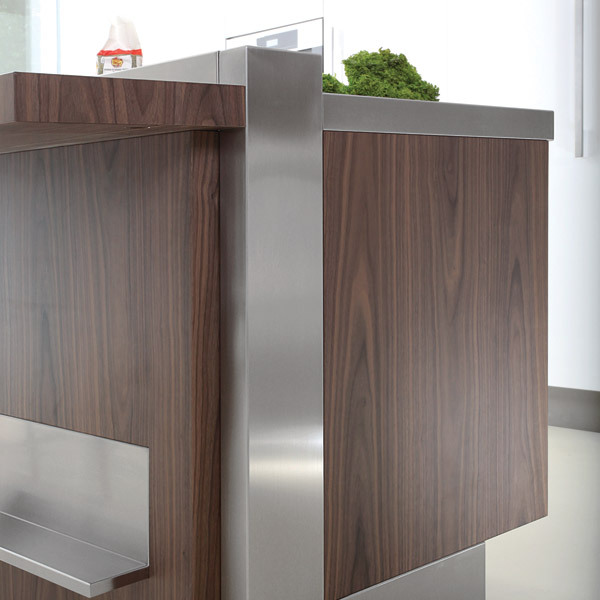 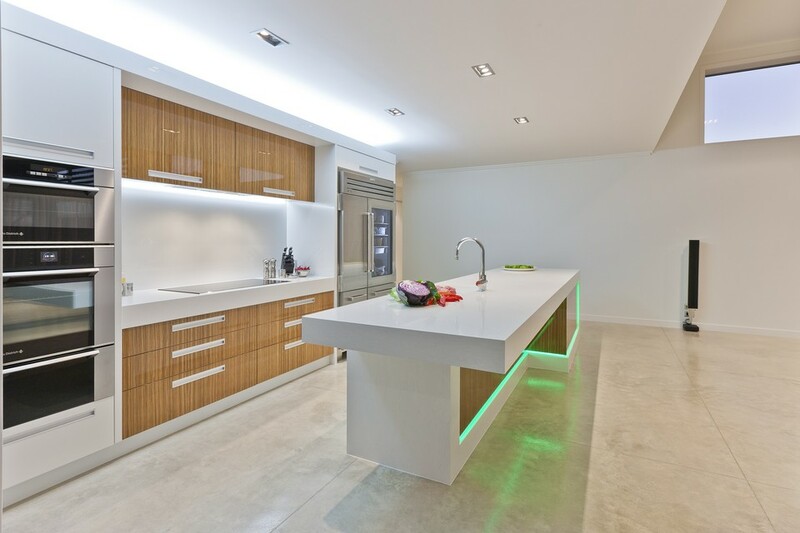 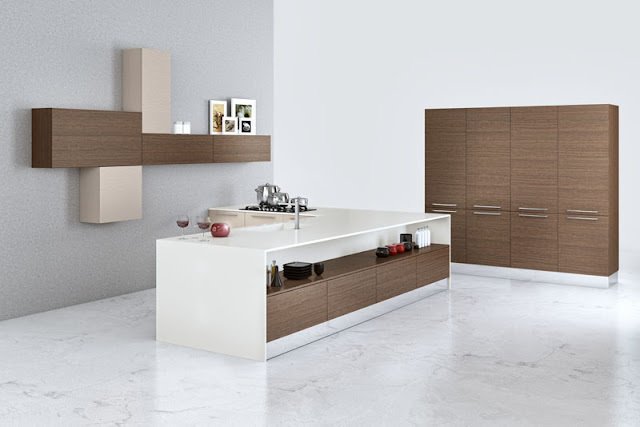 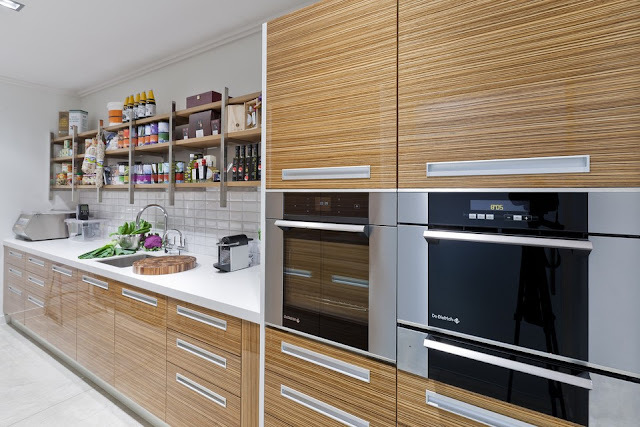 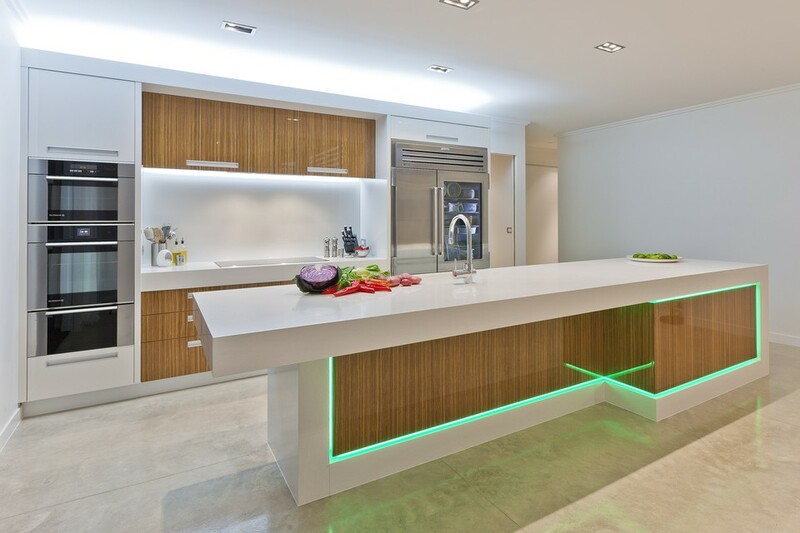 Allowing the kitchen itself to interrupt workflow patterns and functional efficiency can weaken the strength of a design and it can only be left to personal judgement to ascertain if the aesthetics are powerful enough to forgive this potential functional weakness!